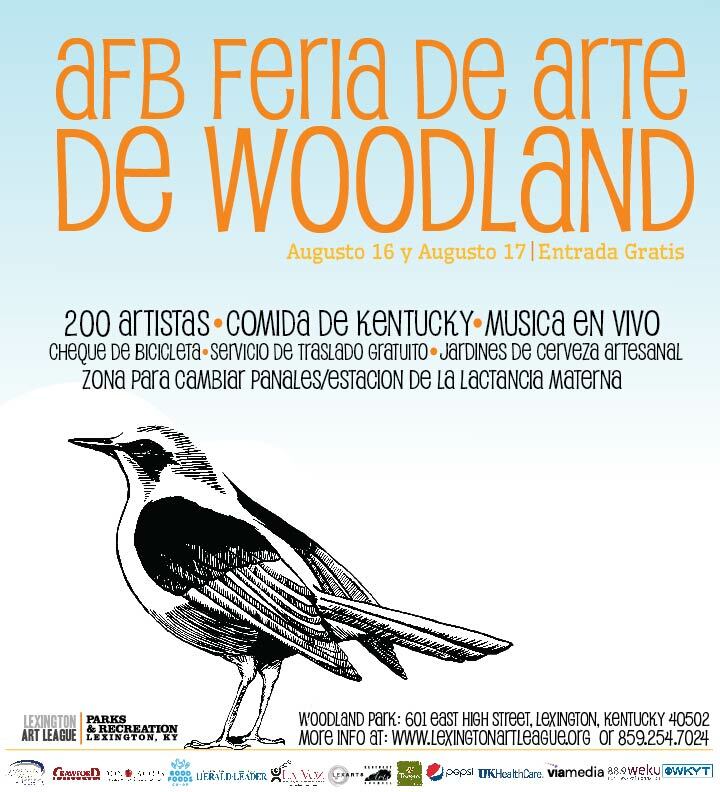 Below: Advertisements seen in LA Voz and the Lexington Herald Leader. 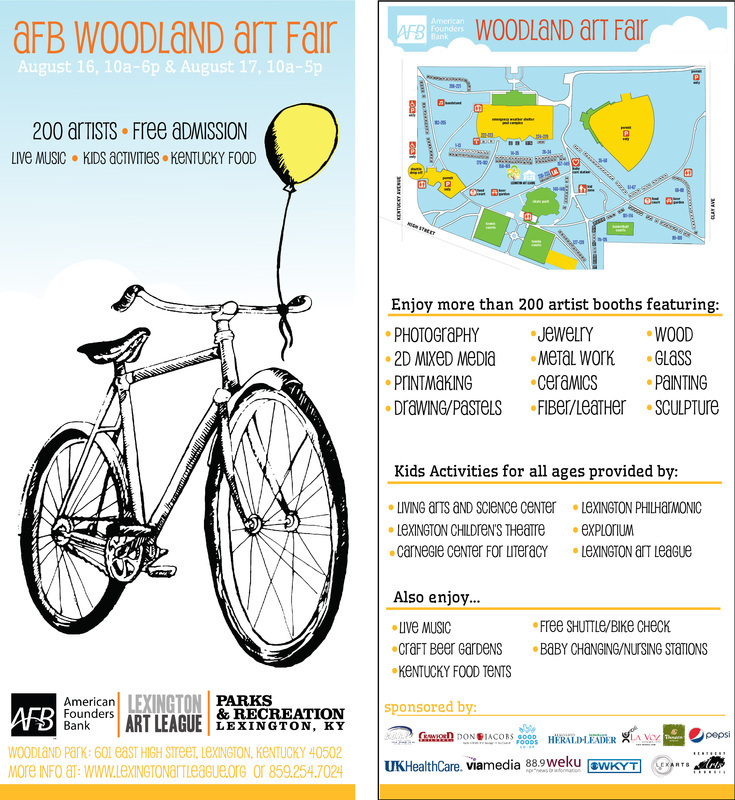 An English and Spanish inner bus card advertisement, and the Bird and Bike illustrations that were seen on tote bags and t-shirts at the fair. 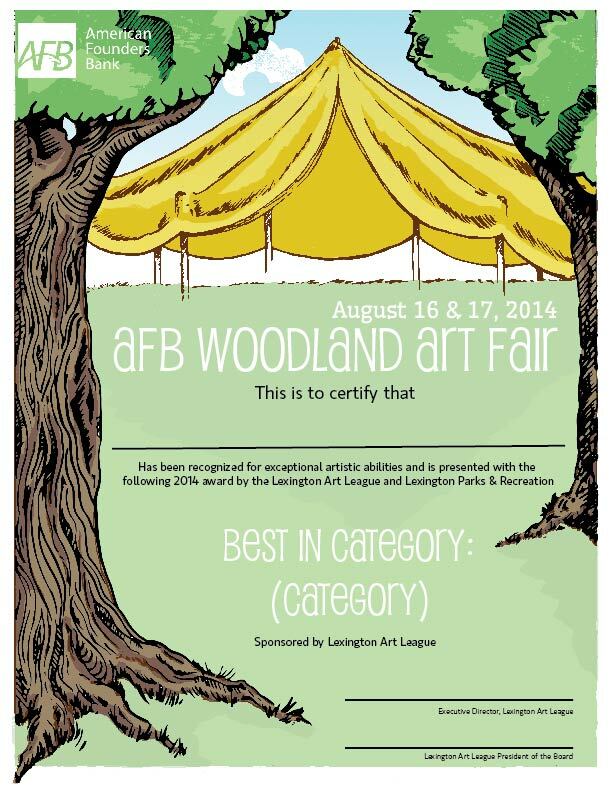 The Woodland Art Fair is a celebrated event that has happened in Lexington, KY for almost 40 years. So a lot of care went into the new look for the 2014 fair. 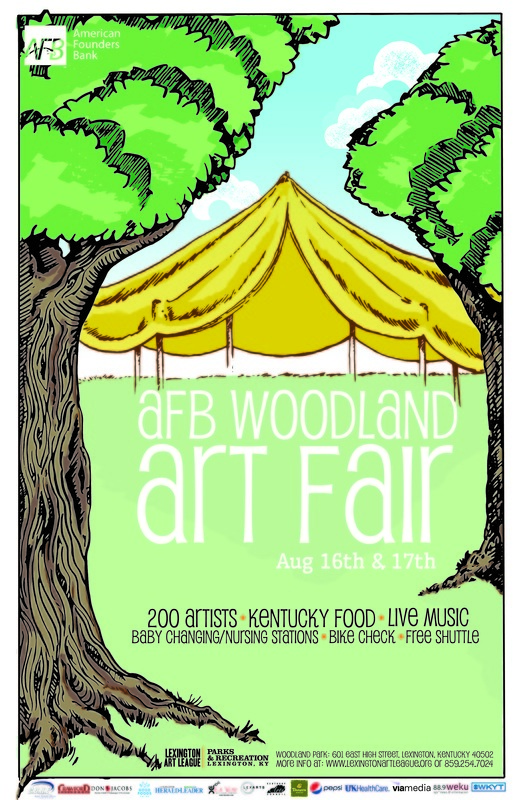 One of the ideas that was brought up at the Lexington Art League, was that they wanted to get away from the generic vector art image and wanted to go for a more "artistic" feel. To this end an illustrated poster was produced that gave them the flare that they were looking for. Other elements that have been seen year after year in the Woodland campaigns, (Bird, Bike, Balloon, and Tent) were also given an illustrated quality and where used in different portions of the campaign. 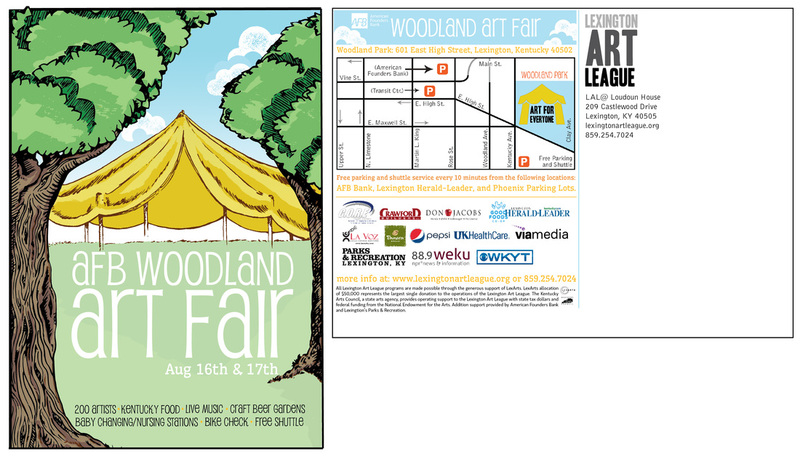 Below: Front and Back of Rack card. 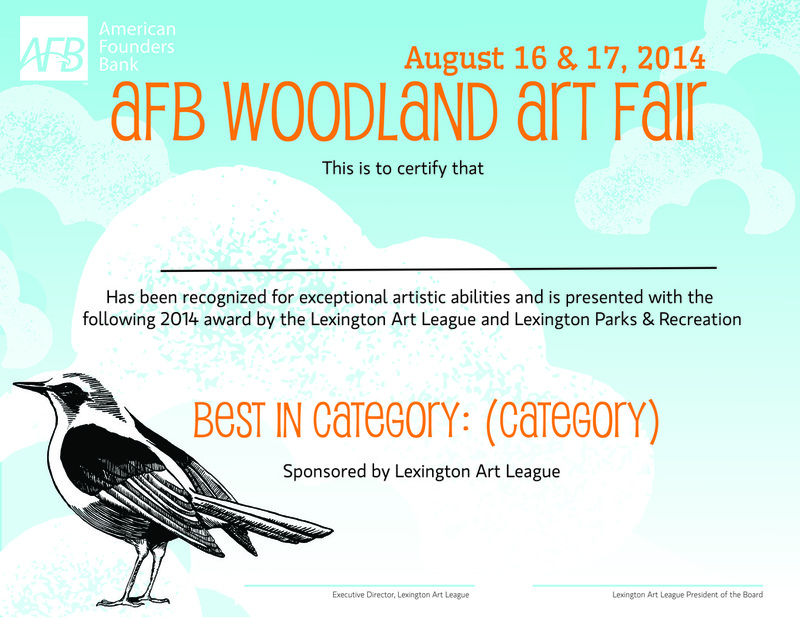 Two different awards created to give to the winning artist in categories at the fair. Below: Fair grounds map.